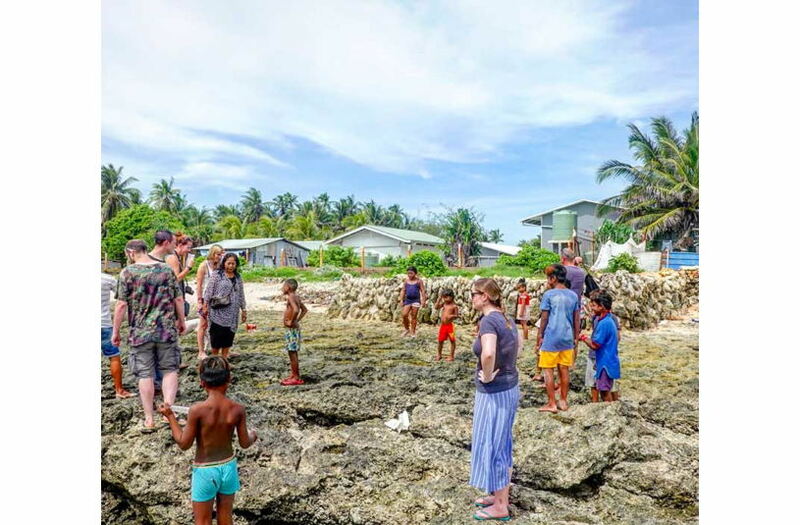 Those that take the trouble to visit Tarawa in Kiribati are rewarded with an insight into life in one of the least-visited countries in the world; visit with Young Pioneer tours in our twice-annual ‘Least Visited Countries’ tour. For many people, the most famous event in the history of Tarawa was its occupation by the Japanese during World War II and its subsequent capture by US forces, in one of the bloodiest battles of the Pacific Theatre. Today there are many signs on Tarawa of this time period. 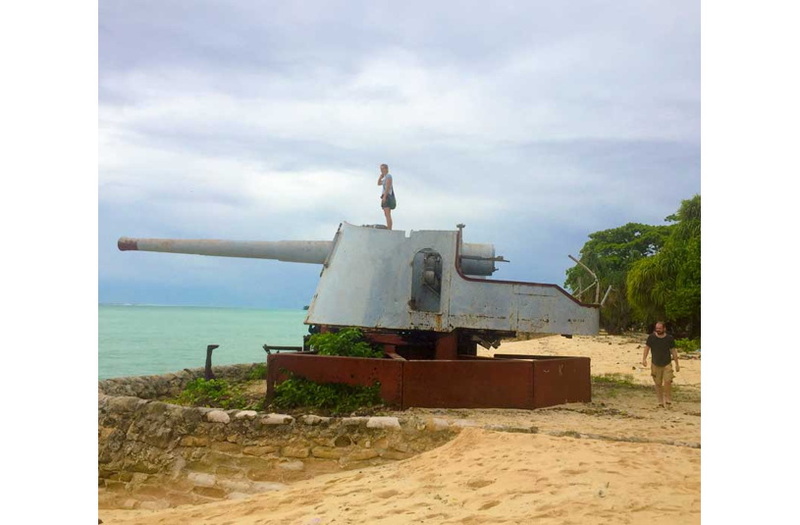 Easiest to find are the big 8-inch anti-ship guns on the south (ocean-facing) side of Betio island, near the causeway connecting to Bairiki. These guns were actually built by the British and supplied to the Japanese during their 1904 war against Russia. After capturing Tarawa in 1942 the Japanese installed them on land to defend against an expected invasion of the islands. Other significant remains in Betio include the Japanese command bunker, a very heavily-built structure now located in the grounds of a Mormon church. Despite its thick reinforced concrete walls this building was attacked and rendered unusable during the battle, and the damage can clearly be seen today. There is a memorial to the Americans who lost their lives in the battle, located outside the sports centre in Betio. More unusual is the corresponding Japanese memorial to their dead, discreetly protected by a fence and which can only be visited by appointment. The only significant industry in Kiribati making products for export is copra – that is processing the flesh of coconuts. People across many of the outlying islands of Kiribati make their living by collecting coconuts which grow naturally; the flesh is then sun-dried and sent to the factory in Betio for processing. It’s an interesting place to see because it’s an example of real island ingenuity. The man in charge of the operation studied engineering in New Zealand, and used his knowledge to design the machinery which now provides an important source of hard currency for the country. 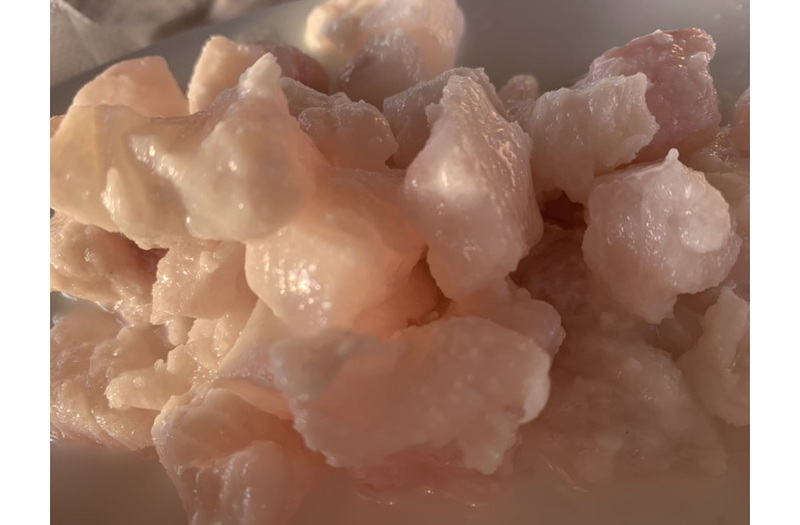 The coconut flesh is ground up, the coconut oil extracted for use in beauty products, and the remaining powder bagged for nutritious animal feed. Wandering through the densely-packed traditionally-built homes on Tarawa’s Banraeba island is a fascinating way to see how people live in this long narrow capital city, which amazingly has a similar population density to Hong Kong, despite having almost no buildings taller than a single storey. On the stony ocean shore are a series of depression in the rocks which, according to a local legend are the footprints of giants. With a bit of imagination you can see just about see where the heel and toe marks are. Even more interesting is chatting to the local children playing amongst the rock pools! One of the most famous sites on South Tarawa is the highest point on the atoll. You’re unlikely to need hiking boots or suffer from altitude sickness since it’s only 3 metres above sea level. The serious point is of course to highlight the vulnerability of these islands to rising water levels due to climate change; indeed one of the reasons that people’s houses are traditionally built on stilts is that significant portions of Tarawa get regularly flooded when high spring tides coincide with low atmospheric pressure. Making use of limited natural resources is important in Kiribati, and one way people do this is by making a small cut in a branch of a palm tree and hanging a bottle underneath so that the tree sap runs down into the bottle. The resulting liquid has various uses, including being fermented to make a form of palm wine known as karewe. This lightly alcoholic drink isn’t really legal to sell so you do typically need a local contact to get hold of some, besides a strong stomach! Another of Kiribati’s natural resources is fish, and one of the best places to eat this is on Abatao, which is the first island of North Tarawa not connected by road. To get there you need to travel north past the airport to the end of the road, then take a short canoe-taxi. Best not to arrive in a hurry because it could take two or more hours for the food to be prepared, but the wait is well worth it. Fish is typically served as ceviche, marinated in coconut milk and lime juice, other options include slowly cooked fish or roasted free-range chicken, all served with plenty of fresh local vegetables. Kiribati is a huge country covering an area roughly the size of India – except that most of it is open ocean. 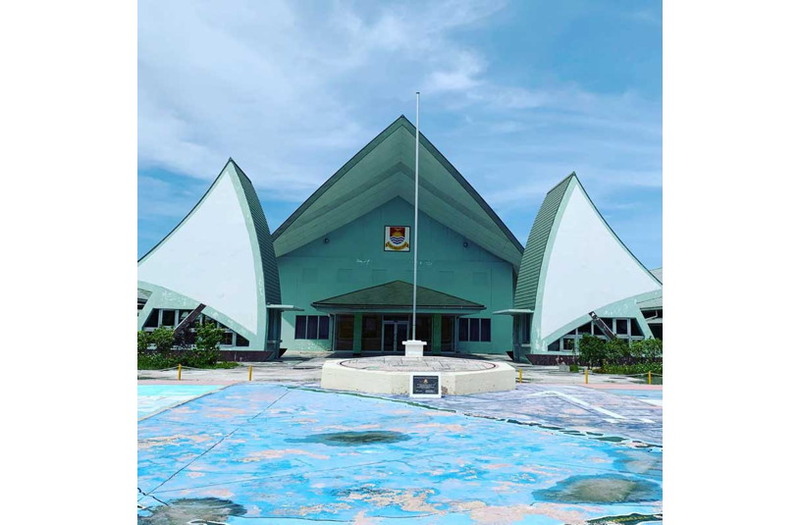 Three times a year, the elected representatives from all over the country make the long journey to Tarawa to meet in the parliament building which is built on an artificial island. When not in session, the security guard will usually permit visitors to pose for a photo and wander around the complex. 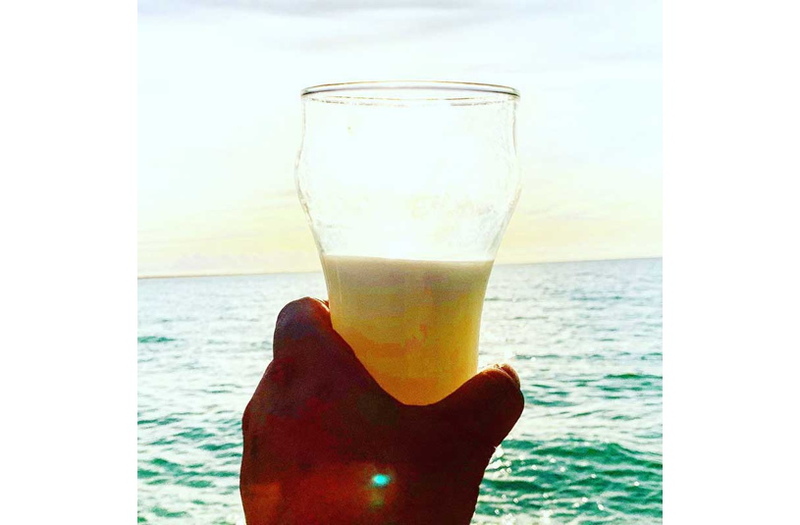 There’s even a bar right at the back overlooking the sea – unfortunately the barman can rarely be persuaded to serve a drink! Kiribati is one of only 17 countries around the world who officially recognise the existence of the Republic of China, more commonly known as Taiwan. The Taiwanese government provides significant practical assistance to the people or Kiribati in the form of its two technical missions on Tarawa. The first of these is a fish hatchery where milk fish are bred and supplied to locally-run fish farms. 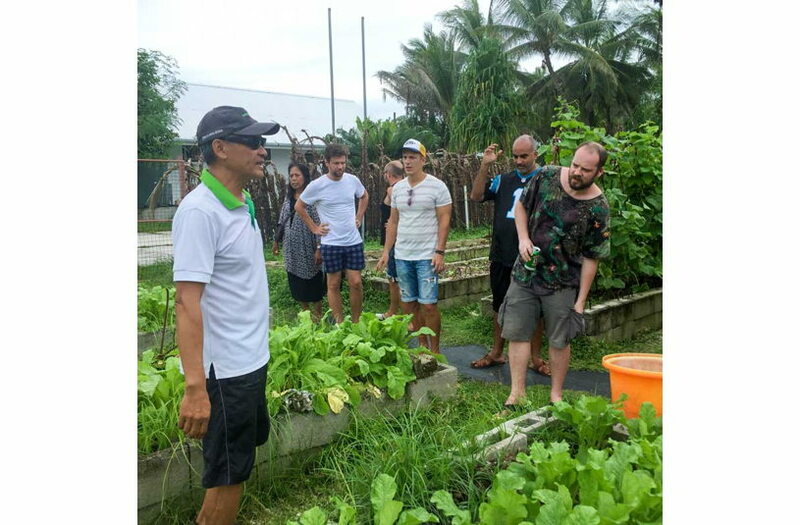 The other is a small farm where a specialist team grow fruit, vegetables and pigs to supply fresh organic food to hospitals and schools. Farming is very difficult in Kiribati due to lack of space and salt contamination so the work done here is invaluable. It’s possible to arrange a visit to see what goes on. The heart of every Kiribati community is a traditionally-built meeting hall called a Maneaba. These high-roofed, open-sided buildings are easily recognised, and serve as places for weddings, funerals, birthdays, neighbourhood meetings, and even as improvised resting places for visitors from other islands needing a place to sleep for the night. Nightlife options are somewhat limited in Tarawa but one place that’s lively almost every night is the thoughtfully named Fab Ace bar, round the back of the Bairiki shopping complex. Drinks are cheap; inside there’s usually a few people dancing away to improbably loud music and on the open-air terrace there’s a pool table and karaoke. The bar faces the nearby residence of the President; who knows if he might pop over for a beer on a Friday night? !